Indulge in the invigorating look and feel of the premium collection of Espresso Maple cabinets with their distinctly gorgeous dark facade. 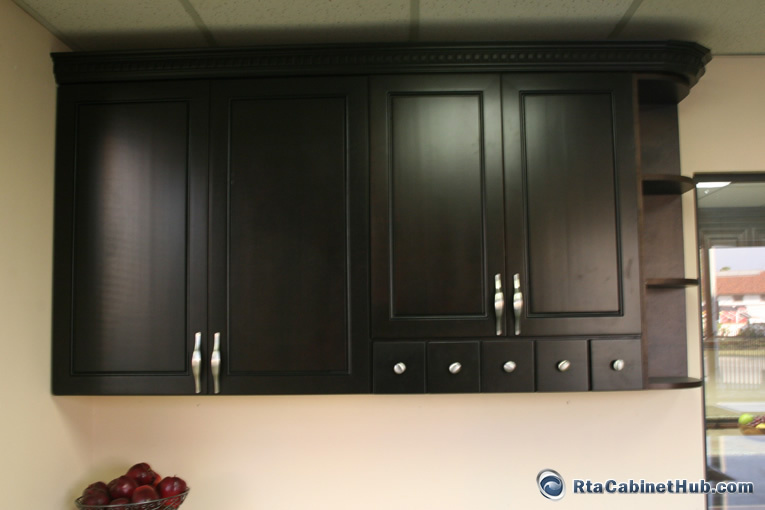 Aside from the fashionable statement in your decor, this fine series of kitchen cabinets from RTA Cabinet Hub also offers durability to make the building blocks of the heart of your homes last many functional years. 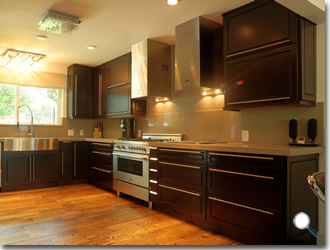 These cabinets are made from selected timbers of one of the most popular hardwoods that grace many homes. Maple showcases fine grains that makes surfaces look and feel smooth and even. This natural character is made more impressive by the dark richness of the espresso finish that paints a uniquely rejuvenating ambiance. Aesthetic excellence can be yours whether your current kitchen design is in casual, classic, country and even contemporary. Espresso Maple cabinets brandish a perfect brew of simple symmetry and richness in color that makes them a top choice to satisfy your aesthetic whims. 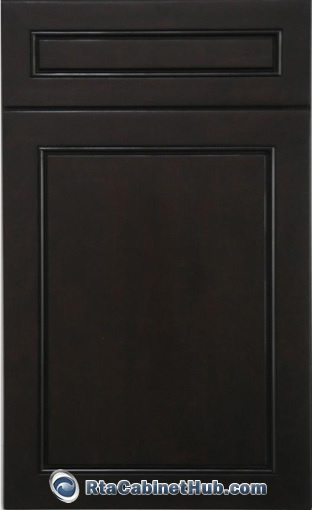 This premium line of cabinetry features raised panel and full overlay door design. 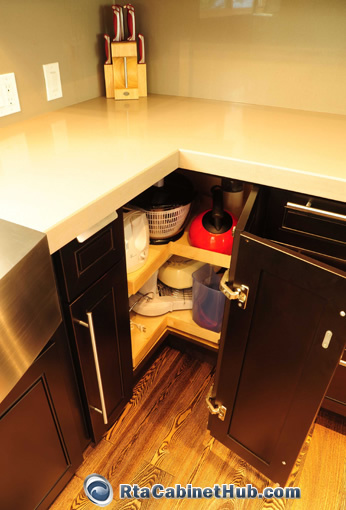 The soft close under-mount drawer glides with full extension, dovetail drawer construction, and quality hardware add to the convenience of use and functionality of this choice. 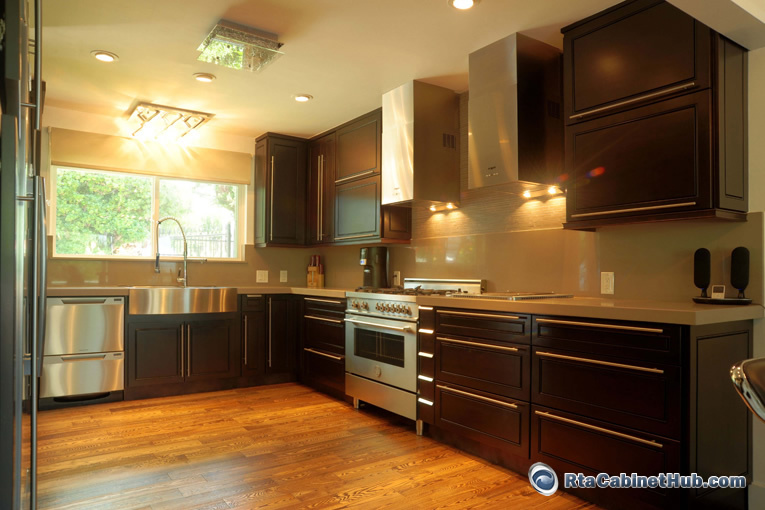 In all-wood construction, having your set of kitchen cabinets fall apart and an unexpected and untimely replacement would be the least of your worries. 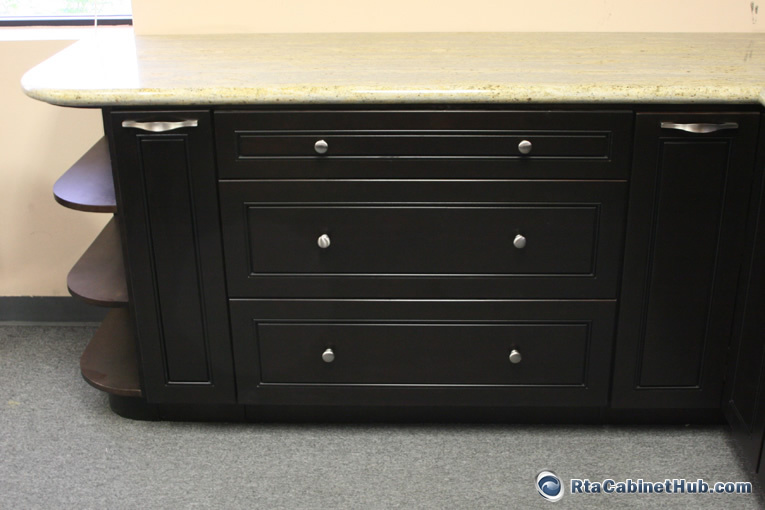 RTA Cabinet Hub offers Espresso Maple cabinets in a wide range of sizes and styles that go beyond standard dimensions. 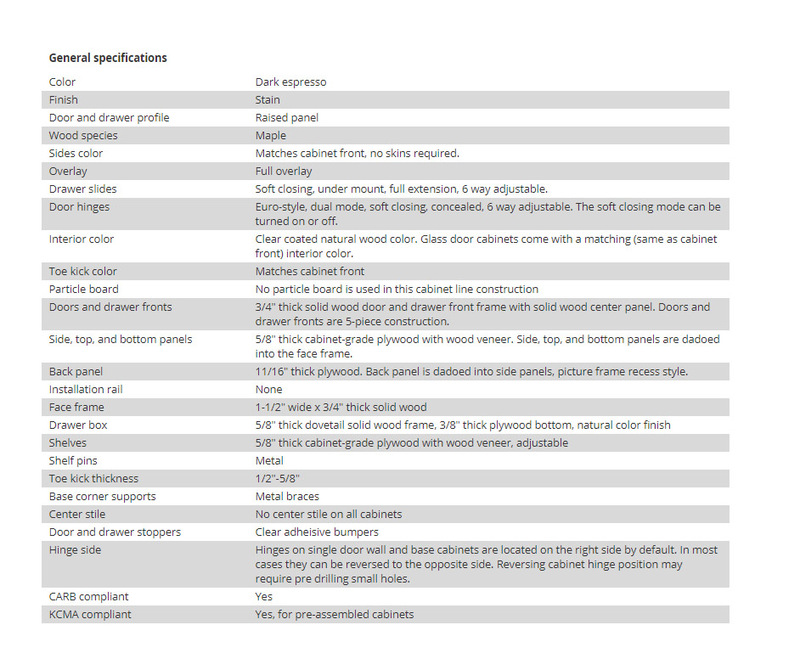 This allows you to pick various units to integrate into your luxurious collection and make kitchens as visually appealing as they are organized. Depending on your specific remodeling requirements, you can choose to have single or double door base units, single or double door wall mounted cabinet pieces, drawer base, pantry and oven, or other wall cabinet constructions to efficiently meet your needs and remodeling requirements. Espresso Maple product is identical or similar to Espresso Bean and Trenton Maple Espresso cabinet lines offered by other stores.